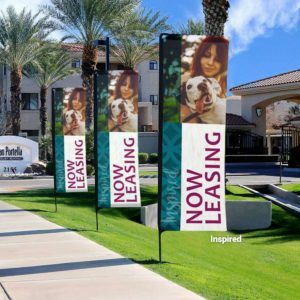 The 360Five Ground Flags are perfect for getting your custom message across. Wheather it is your company logo or tagline, a seasonal scene, or simply saying “Welcome,” you will be covered! The assembly is a snap and will last through the season. 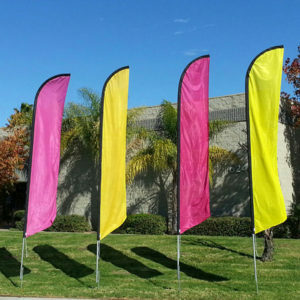 Add a Triple Balloon Topper to your 360Five Flags for an even great pop and attention! 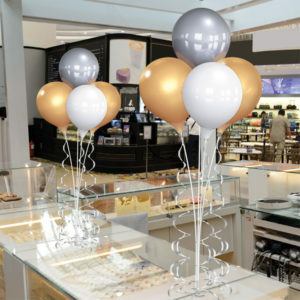 Add a Single Balloon Topper to your 360Five Flags for an even great pop and attention!